When you launch a new website for your business (products, services, offerings, etc…) one of the first things you think of immediately thereafter is – now that I have this website, how do I get traffic from Google, from those who are searching for what I have to offer. The way I see, for any new website, there are only two ways you can generate the kind of traffic you want and need from Google. You can either pay for it through Google Adwords (pay per click), or you can optimize your website, generate content, and increase your site’s authority in Google so that when someone searches for products you offer, your pages will appear on the front page of Google’s search results. This option is simple really. 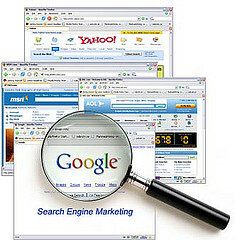 You open a pay per click campaign (Google Adwords) and pay for the traffic and clicks. Depending on how much you want to spend per click, and also depending on the competitive environment of what other people are spending per click, you’ll simply allocate a budget and launch your ads. Now that was a VERY simplified and “boiled down to the basics” description of what’s involved, but for the purposes of this article, I wanted to keep it simple. The good thing about the Google Adwords option is that you can instantly get exposure at the top of Google search results. The downside is that once you turn off your click budget, or run out of money, your site is no longer found on the front page. But don’t despair because this is where what I believe to be the best option kicks in. Highly optimized content that gets your product pages found on front page of Google. This is truly the better option, although it is the option that requires a longer term perspective and time frame. With this strategy, you’ll create content that is highly optimized for your targeted keywords and pages (i.e. your products), and over time those pages will rise to the top in all search results. The benefit with this method is that you aren’t paying per click and your site will, over the long term, remain in these top rankings. So basically, you need content about products on your site, and on your product pages (think Amazon’s product page strategy). Of the two methods above for generating traffic from Google, which one do you prefer?